Our pets are important members of the family. They provide us with comfort, companionship, devotion and unconditional love. We include them in family photos, holidays, and even sign their names on greeting cards. At Precious Pets Memorial Center and Crematory, you will find pet parents dedicated to celebrating your pet's unconditional love, and willing to help you create personal memorials that would help honor your special bond with your pet. We believe that everyone who has lost a special companion deserves a dignified, affordable way to memorialize them. All cremations at Precious Pets are private/individual cremations, in other words, we only place one pet in the cremation tort, and are done on site. We provide a large variety of pet urns, pet caskets - for those who are permitted to bury their pet, and numerous other memorial tributes in a pet friendly environment and encourage our families to come in. 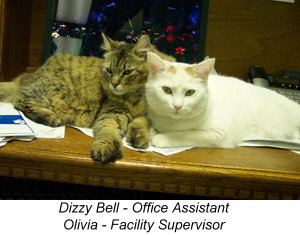 We feel that you should know exactly where your pet is and be comfortable with any choices that you make. Providing our families with truly private, on site pet cremation. Serving Pittsburgh, Greensburg and Surrounding areas. (c) Copyright 2018 - YCS Global, LLC. All Rights Reserved Worldwide.